New York: Ivison, Blakeman, Taylor & Co., 1882. 1882 edition. Very good copy with shelf wear. Gray cloth binding has bumped corners and some soiling. 208 pages with decorated edges. Cloth. Very Good/No Jacket. Baton Rouge, La. 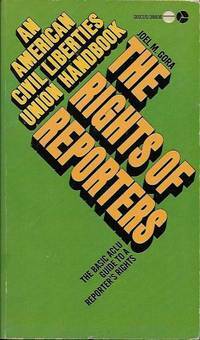 : Louisiana State University Press, 1997. Crisp, as-new copy. 190 pages. 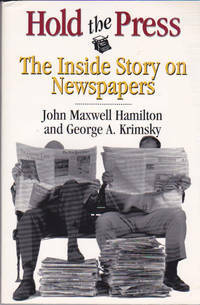 A quick read for anyone who wants a crash course in journalism.. Trade Paperback. Fine/No Jacket. 8vo - over 7¾" - 9¾" tall. New York: Gramercy Publishing Co., 1986. 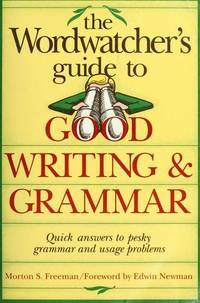 Gift-quality copy of an indispensable reference for writers and editors. Mylar-protected dust jacket has some age-toning at top edge. 479 slightly age-toned pages, index.. Hard Cover. Near Fine/Near Fine. 8vo - over 7¾" - 9¾" tall. New York: Discus Books, 1974. Second printing, Avon Discus paperback, 1974. Very good condition with straight, uncreased spine, small hole punched at top of front cover. 254 pages.. Mass Market Paperback. Very Good. Meredith Publishing Co. , 1972. Sixth printing, 1972. SBN 696-00200-0. The decorative turtleback cloth binder has some minor tiny spots on front cover. 360 slightly age-toned pages with 19 clean, crisp yellow tab dividers look unused. A complete guide to sewing for yourself, your family and home!. Clothes Making, Seams, How to Sew, Sewing Equipment, Patterns, Clothing Alterations, Sewing Tricks, Fashions, Dressmaking, Fabrics, Clothing Design, Curtains, Draperies, Slip Covers, Bedspreads, Decorating. This book has it all!. Decorative Cloth/5 Ring Binder. Near Fine. 4to - over 9¾" - 12" tall. By BOWLES, Dorothy A., And BORDEN, Diane L.
Belmont, CA: Wadsworth/ Thomson Learning, 2000. 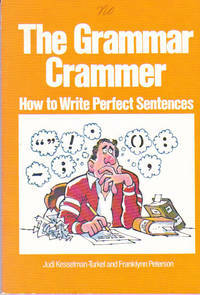 Textbook for copy editing courses. Bottom front cover corenter slightly bent.. 418 pages unread.. Soft Cover. New. 4to - over 9¾" - 12" tall. Denver: Morton Publishing Co., 1978. Very good copy with slightly soiled cover. Copy editing textbook organized as a work book with numerous laboratory exercises in news editing. 228 clean, unmarked pages. . No Edition Stated. Soft Cover. Very Good/No Jacket. 8 1/2 x 11 Inches. Boston: Allyn and Bacon, 1991. Brand new copy. First printing. 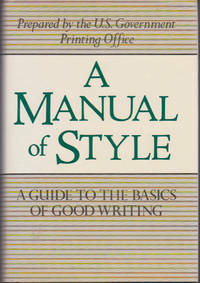 Textbook for copy editing courses focuses on traditional techniques. 334 clean, unread, unmarked pages. . First Edition. Hard Cover. COLLECTIBLE MINT/No Jacket. 8vo - over 7¾" - 9¾" tall. Worthington, Ohio: Publishing Horizons, Inc., 1989. Brand new copy without dust jacket. Pictorial cover shows Pulitzer Building in New York City. 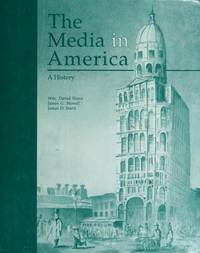 Textbook for journalism history courses. 436 pages, index.. No Edition Stated. Pictorial Hard Cover. New/No Jacket. 4to - over 9¾" - 12" tall. New York: Simon & Schuster, 1979. Very good copy without dust jacket. Textbook for learning photography. Shows in detail how to take pictures on film. 207 pages, index.. Cloth. Very Good/No Jacket. 9 Inches By 11 1/2 Inches. Washington, D.C.: Falcon Press, 1972. Near fine copy without dust jacket. 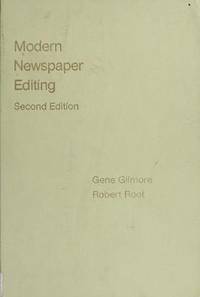 Textbook for newspaper editing courses. Best textbook ever written on headline writing. Shows in detail how it was done before computers. 608 pages.. No Edition Stated. Cloth. Near Fine/No Jacket. 4to - over 9¾" - 12" tall. San Francisco: Boyd & Fraser Publishing Co., 1976. Second edition. Beige cover has bumped corners. No underlining or highlighting. Textbook for newspaper copy editing. Shows in detail how it was done before computers. 388 pages, index. . Second Edition. Hard Cover. Near Fine/No Jacket. 4to - over 9¾" - 12" tall. Mankato, MN: Creative Education, 1985. Bertrand Russell explains his philosophy in a 32-page hard cover essay with a caricature of Russell on front. . No Edition Stated. Pictorial Hard Cover. Fine/No Jacket. Illus. by Etienne Delessert. 8vo - over 7¾" - 9¾" tall. New York: Halcyon House/ Blue Ribbon Books, 1938. Very good clothbound textbook on business skills. Green cover is soiled on spine and along top edge. 995 tight, bright pages. Teach yourself shorthand, bookkeeping, business correspondence. . Cloth. Very Good/No Jacket. 8vo - over 7¾" - 9¾" tall. New York: Prentice -Hall, Inc., 1953. Second Edition, Third Printing. 942 pages, index, maps. Cover is shelfworn. Front end paper missing. Sticker remnant inside back cover.. Cloth. Fair/No Jacket. 8vo - over 7¾" - 9¾" tall. Boston: Houghton Mifflin Co., 1988. Companion workbook for author's News Writing Fourth Edition. 338 pages. Cover has light edgewear. Desk Copy stamp on bottom page edges.. Soft Cover. Very Good. 8vo - over 7¾" - 9¾" tall. By STONECIFER, Harry W., NICHOLLS, Edward C., ANDERSON, Douglas A.
Chicago: Nelson-Hall Publishers, 1981. An authoritative, comprehensive textbook that focuses on traditional editing skills and philosophical aspects of the craft as well as electronic technology. 343 pages, index. 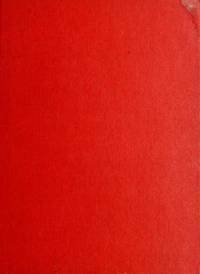 Page edges, back cover have light soiling.. First Edition. Soft Cover. Near Fine. 8vo - over 7¾" - 9¾" tall. Boston: Houghton Mifflin Co., 1988. Fourth edition. Provides step-by-step, easy-to-understand instruction in writing effective news stories. 516 pages, index. Cover bumped on corner. Desk Copy stamp on bottom page edges.. Soft Cover. Very Good. 8vo - over 7¾" - 9¾" tall.